Mark the Moments Most Don’t! An unconventional collection of 12 adorably illustrated baby milestone cards that celebrate the uncelebrated pivotal moments in the early years of life. 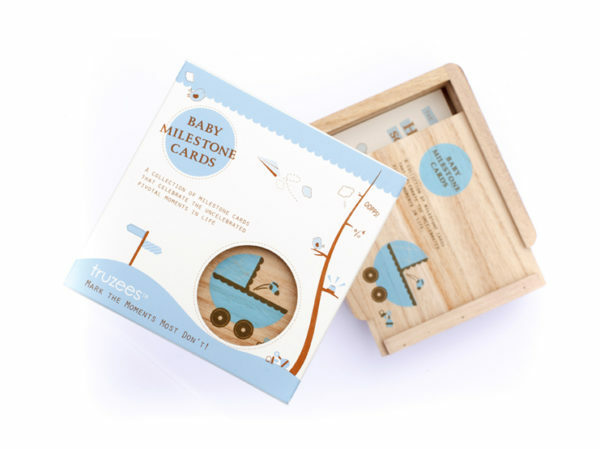 A modernised and functional version of the baby journal to record all the quirky baby to toddler moments and milestones. 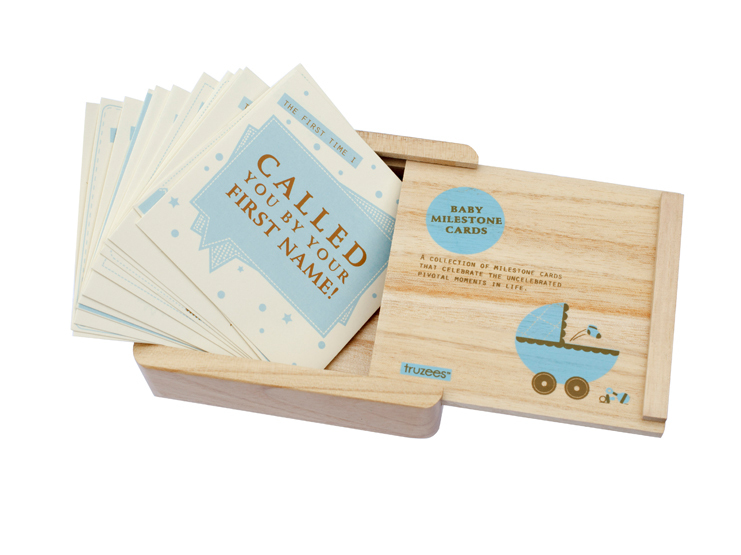 – Packaged in a screen printed wooden keepsake box.